There are LOTS of natural things you can do to support yourself in getting a good night’s sleep…without reaching for a sleeping pill. Let me share with you a few of my favorites strategies for improving sleep and beating insomnia. A mind filled with worry, stress or anxiety doesn’t want to sleep. It wants to keep going over things, thinking and re-thinking, worrying, planning, staying on top of potential problems, searching for solutions. If this sounds like you, then drop me an email or give me a call and let’s chat about it. 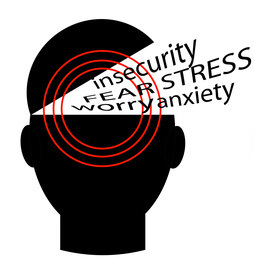 Anxiety/worry is at the root of most sleep problems. I can’t stress then enough. So unless you resolve the root cause, insomnia and sleep symptoms are likely to persist or recur. Nobody likes to hear this one. For some reason, we stay in denial about the effects of TV. The light, noise and visual distraction of the TV stimulate the central nervous system…waking it up. Before bedtime is the WORST time to watch TV because you are activating your nervous system at precisely the time you want it to rest and sleep. For those with anxiety or sleep problems, watching TV at or near bedtime causes disrupted sleep cycles so you don’t get the needed REM deep sleep. Some people will swear to me that they have no problems falling asleep after (or while) watching TV. Some even say they can’t fall asleep without it. But what we usually find is that they wake up during the night or wake up very early in AM (before getting a full night’s sleep) and can’t get back to sleep. This is the effect of disrupted sleep cycles. Besides all of the other health benefits (plus it reduces stress and anxiety! ), regular exercise can help regulate your sleep cycles and make you ready for sleep at bedtime. However, do not exercise right before bedtime as it can activate mind and body systems that could keep you awake longer. Exercise at least 2 hours before bedtime. Reduce noise pollution by getting a white noise machine to tune out sound distractions that might prevent your mind and body from calming and surrendering to sleep. Don’t listen to music or birds or bubbling brooks – just white noise. A fan, dehumidifier or air purifier might do the trick but my favorite gadget is a white noise machine. Use the bedroom only for sleep and intimate relations. A recent study showed that we spend an average of 47 minutes per night in the bedroom doing things other than sleeping. Get rid of other distractions and nervous system stimulators including computers, other electronics, desks and office work. This sends conflicting messages to your brain. It is possible, however, to reprogram your brain to learn that reading and other activities are for other rooms and the bedroom is for sleep. Your body naturally likes routine. Conditioning your body to expect sleep at about the same time each day helps you establish a routine sleep-wake cycle. The National Sleep Foundation says 7-9 hours of sleep is optimal! Give yourself regular rest breaks throughout the day, and see if you can stay away from napping to help you stay on a sleep schedule. We all have natural body rhythms linked to a cycle of light-dark (circadian rhythm). When it’s dark, the body naturally starts producing melatonin, a hormone that supports sleep. Keep your bedroom as dark as possible. Even very small amounts of light can interrupt melatonin production and make sleep difficult. Try room-darkening shades/blinds. Try an eye pillow. Turn off or cover up any devices that give off light, such as TV, computer, phones/chargers, etc. (better yet, keep them out of the bedroom!). Turn your alarm clock away from you. As soon as you wake up, open the curtains and let in as much natural light as possible. Or try full-spectrum light bulbs which are made to simulate natural sunlight. In the winter, try light therapy in the morning with a special purpose light box. All of this helps set the sleep rhythms and can set the stage for good night’s sleep later. Eat dinner at least 2 hours before bedtime so food has time to digest. This helps your body slow down at bedtime and also helps prevent indigestion and acid reflux which can contribute to insomnia. Increasing your body temperature before bedtime can help your nervous system relax. Try a bath with epsom salt (found in any drug store). It is made of magnesium, a natural muscle relaxant, and can help calm your nervous system and reduce anxiety. In my work as a therapist treating anxiety, I find that it takes the right combination of techiques above to make the difference for people with chronic sleep problems and insomnia. Getting to the bottom of the stress and anxiety is ALWAYS a necessary a part of the solution. After that it takes some experimenting to see which factors will make a difference for YOU. One size does not fit all. You are a unique being. To find out what works for you, experiment with one technique at a time for 2 weeks. Track your results. Adjust as needed. Repeat with a different technique. Some combination of the above is usually what works. Hang in there and do some experimenting!